As always, Sanlian machinery really taking the famous saying "customer is God" as the purpose. 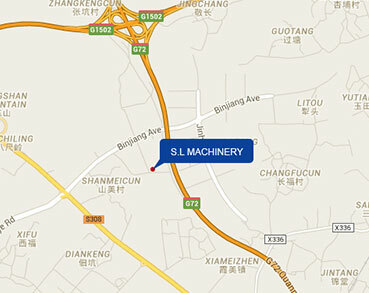 In order to meet different requirements of customers and to maximize the utilization of equipment, S.L Machinery improves the machine performance basing onthe original production technology according to the characteristics of the customers’ product requirements,, to meet the requirements of more and more personalized orders. 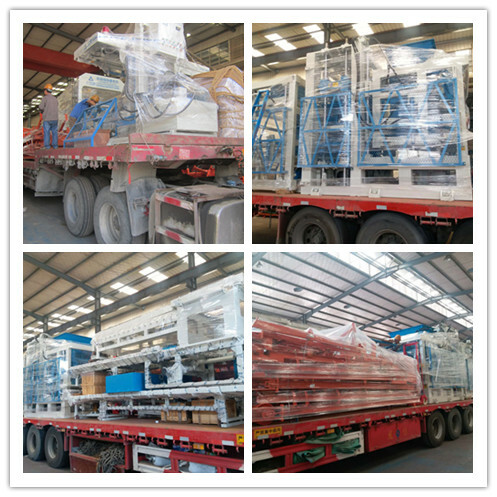 In early July, two sets of block machine in the warehouse set off for the destination. This istwo orders from Hunan, and this two orders require special orders for the purchase of block machines to meet their production needs. 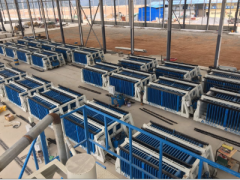 Among them, the customized QFT8-15 (widening) Brick Machine of the customer talked about, because in the production of 300x150mm paver block products, the conventional equipment forming area only about 67% of the pallet area, the utilization rate is too low. 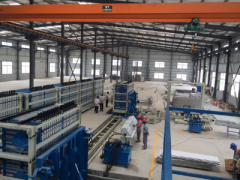 However, our equipment will increase the area of plate at 12%,so the forming area takes up the plate area about up to 90%, in the same production rate, the production efficiency is increased by 23%, the economic benefits have been significantly improved. 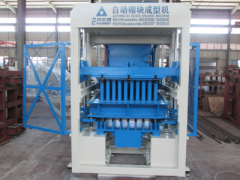 Another set of QFT10MH-15 type block machine is also a special order of heightening type. 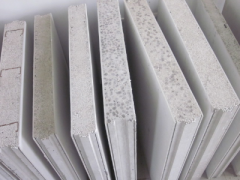 The production of conventional equipment 20mm has gradually failed to meet the increasing demand for product height and strength of curbstone, revetment brick and municipal brick. 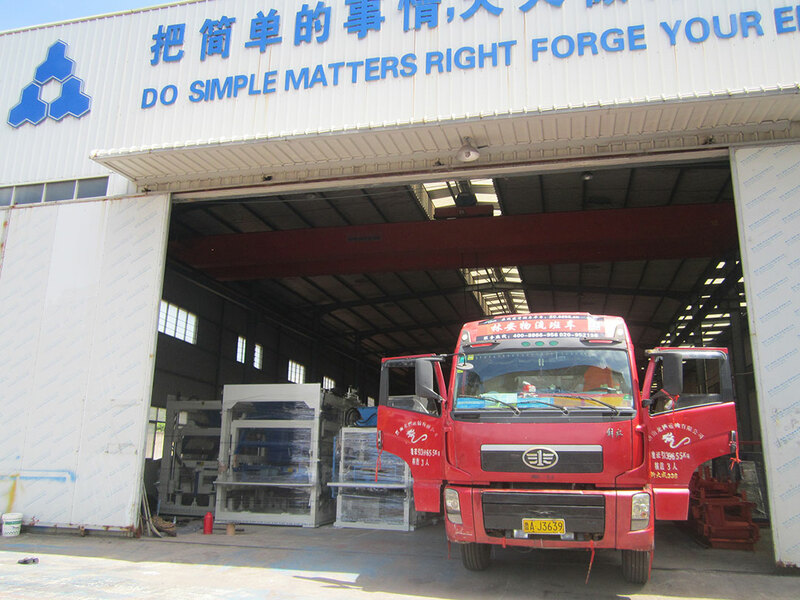 We are anxious for customer needs, increasing the height ofproducts to 30mm, and the maximum production height is 500mm.As the height of the equipment increases, the processing of some main parts adopts high-precision CNC machining, thus to improve product performance, at the same time to ensure product quality stability. 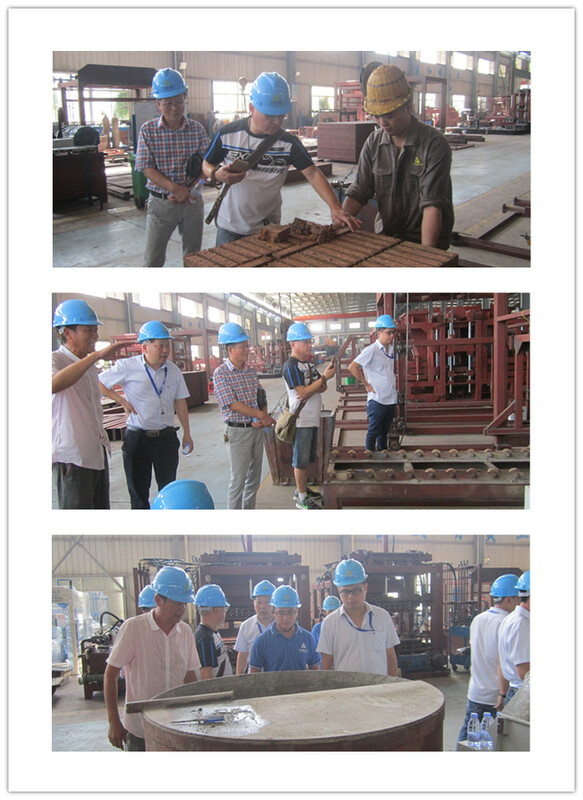 It is equipped with the function of producing municipal round well brick. The equipment is rationally equipped with vibration damping device to minimize the impact of vibration on the frame and produce special-shaped products in the case of the production of conventional products. At the same time, our equipment adopts the vector loop synchronous vibration system, by VLT converter with synchronous motor speed feedback detection, to ensure the motor speed stability in the load changes, and provide the control precision. The motor can be automatically compensated by the inverter and drive motor, to speed, start and stop the function of same.VLT frequency converter can provide accurate and effective motor control for vibration applications, and its overload capacity reaches 150%. It doesn't have the disadvantages of difficult operation, complex maintenance and overload ability. Its built-in function helps users save installation time, set time and daily maintenance effort, and can improve production efficiency and low down cost for users. Looking at the customer to show a satisfied smile, every Sanlian people felt relieved and proud. We are convinced that as long as all Sanlian people are working together, following the trend of the times, Considering and Concerning for Clients, with the unremitting efforts and the spirit of innovation, we must be able tofall this cause of environmental protectioninto every corner of the world.